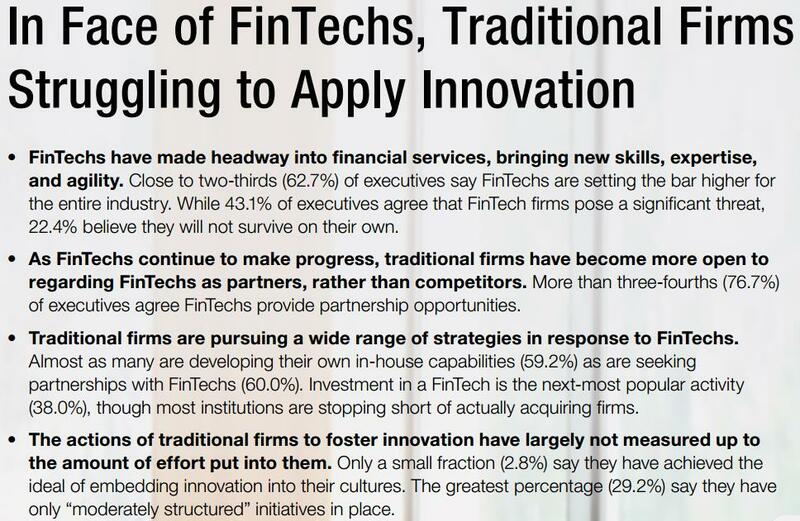 FinTech disruption in FS is unprecedented. Sort out and see the most pragmatic strategies for applying innovation to impact customer experience. 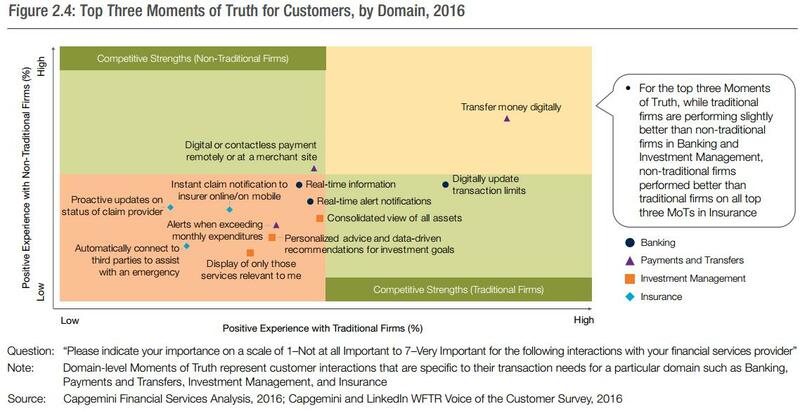 Explore the possibilities in The World FinTech Report (WFTR). In a world of changing dynamics where finance and technology collide, Capgemini and LinkedIn, in collaboration with Efma, bring you the first World FinTech Report 2017 . Designed to explore new models in Financial Services, the World FinTech report brings to light the areas where leaders are shaping a new range of services and innovations spanning banking, payments, insurance, and wealth management.